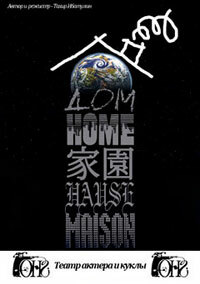 Performance «Home» is propaganda of peace, love and good. Our puppets are universal: marionettes, tantamaresques, flatbed and upper-cane puppets, masks…therefore we speak any language in any genre about any subject…without words. Nevertheless everybody can understand us like music, dancing or pantomime. Performance «Home» is a bright show in form and deep in meeting. It is a sunny performance including 15 stories in the wonderful music cut lasting 70 minutes without an interval. 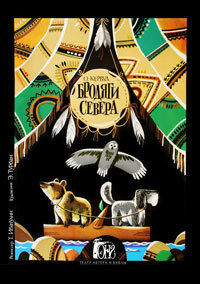 It is a marvelous story about puppy and little bear who have become orphans as the fate decreed. Being bound with onе rope they get to the big forest where a good spirit of forest, animals and birds Isku-Vapu protects them and where different risks and amazing adventures are in store for them.